What is DIABETES? A Silent KILLER! Diabetes is defined as a chronic, often debilitating and sometimes fatal disease, in which the body either cannot produce insulin or cannot properly use the insulin it produces. This leads to high levels of glucose in the blood, which can damage organs, blood vessels and nerves. The body needs insulin to use glucose as an energy source. Type 1 diabetes, usually begins during childhood or adolescence; the condition is characterized by high blood glucose levels caused by a total lack of insulin. This occurs when the body’s immune system attacks the insulin producing beta cells in the pancreas and destroys them. Type 2 Diabetes, the most common form of the disease, usually occurs in middle age adults after the age of forty-five (although not exclusively), the condition is characterized by high blood glucose levels caused by either a lack of insulin or the body’s inability to use insulin efficiently. 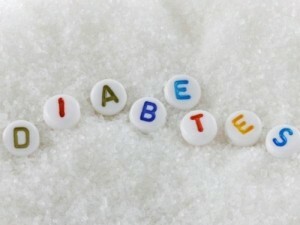 If you have Diabetes, Diet is important and essential to keep the effects of the disease from causing complications. Eating healthy foods, fruits and vegetables, Fish, lean meats, chicken or turkey without the skin, dry peas or beans, whole grains, and low-fat or skim milk and cheese. and eating foods with more fiber. *It is also very important to include 30 to 60 minutes of physical activity on most days of the week, to help the body reduce the effects of the disease and limit dependency on drugs to do so. What can you do to help prevent Diabetes or PreDiabetes? Keep in mind that symptoms of Diabetes are Silent. Have your Blood tested. Factors include being overweight, high blood pressure and high cholesterol. Do NOT be afraid to GO to your DOCTOR for a checkup as this may lead to several health effects that are manageable going unnoticed and developing into more serious conditions. Black men do not let Diabetes attack you and impact your family. We are statistically predispositioned to develop this disease than other races. Diabetes is a SILENT KILLER! Take it seriously. It is appropriate to take care of your BODY, increase your Fitness, keep your MIND at ease, and get in tune with your SOUL so that you can take care of your family. Here are 4 Holiday slim tips that if executed will ensure that by the time the New Year hits you'll be well on your way to a fitter, stronger & more toned you in 2013! Each day we've got to take steps towards creating the habits needed to make our wishes and dreams a reality. Want the body you desire & deserve? With over a decade of having the blessing and responsibility of coaching people one on one and in groups, this statement rings true to why many folks do not get the body they desire and deserve.